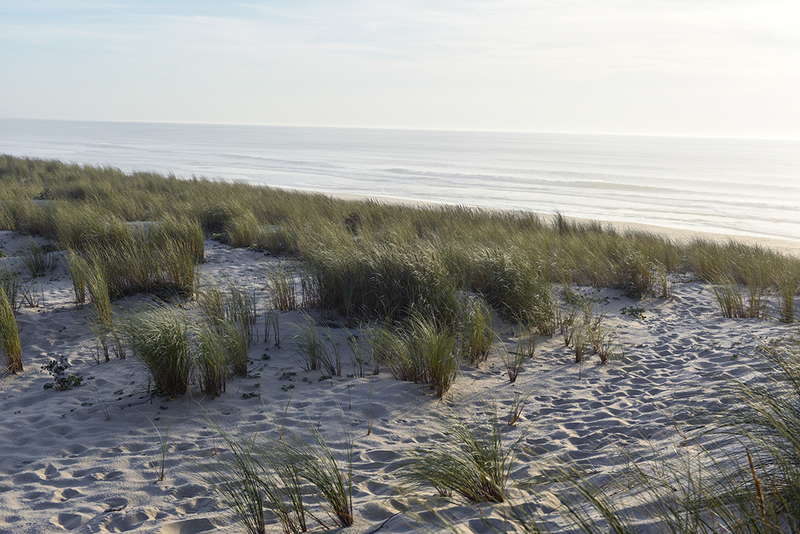 Cap Ferret is a dream in pastel blue and pink. The beach seems endless, the sky sinking silently into the waves that hit the shore like a rock, angry thunderous foam vanishing meekly on the golden sand. It’s a place you never want to leave again, just walk forever, barefoot and happy, and the sun in your face. 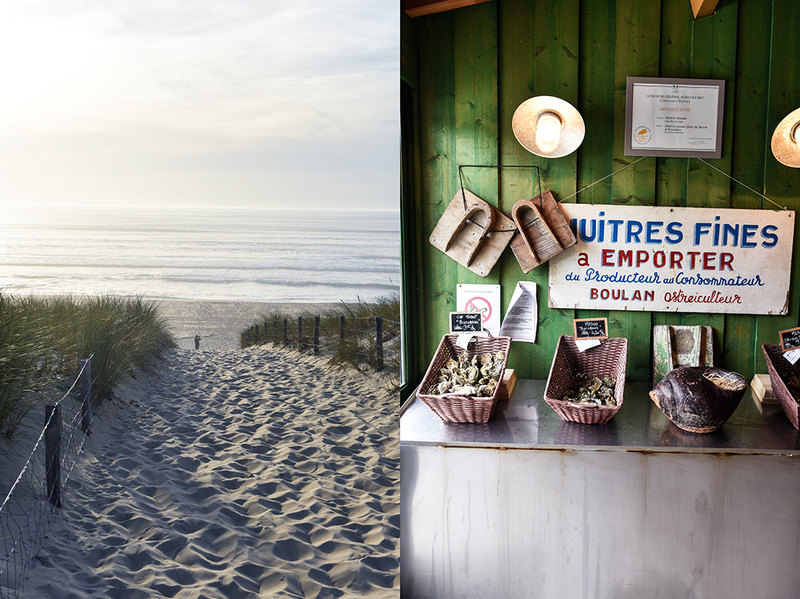 I came to this headland touching the Atlantic in the Aquitaine region in France to eat oysters. It was a simple mission, I expected good, pure and honest tasting oysters, fresh like a sip of the sea, but I wasn’t prepared for so much beauty! In the summer months, the seaside villages turn into a crazy beehive, we skipped that and were welcomed by tranquil bliss. 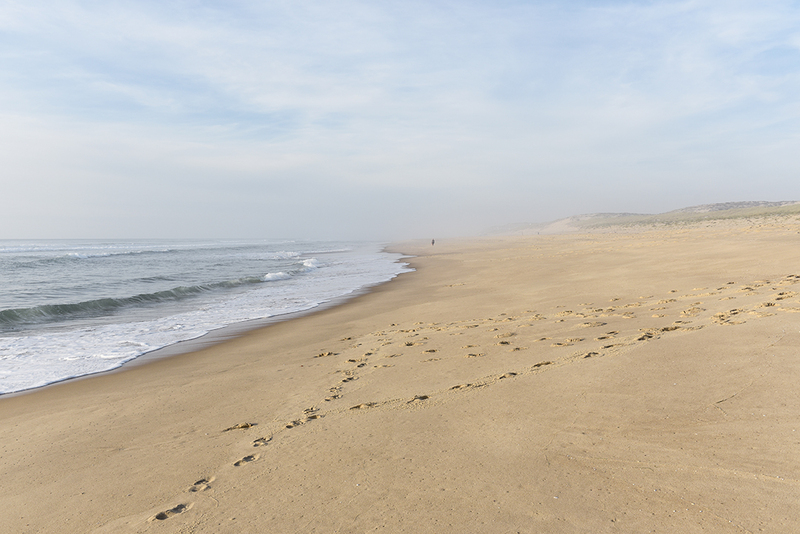 Two landscapes dominate the cap, the open sea and vast beaches on the west, and the lagoon on the east, the Bassin d’Arcachon changing its face constantly due to the tides. 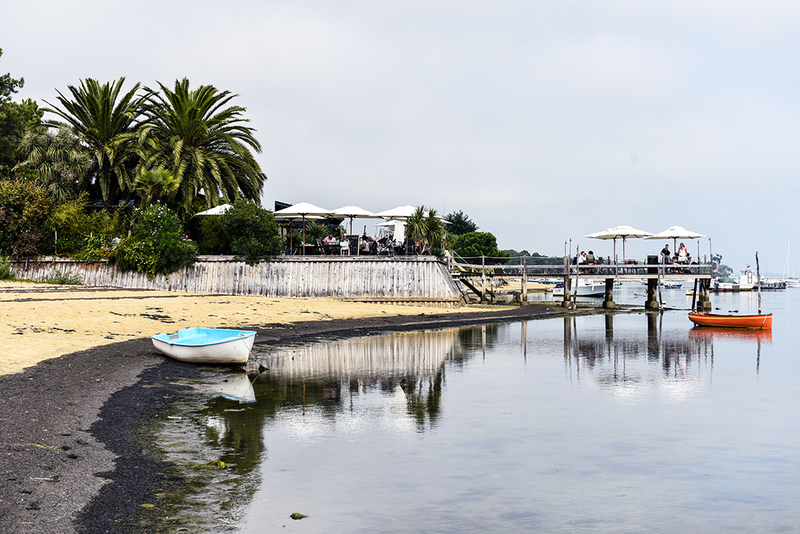 This is the lap where mother nature lets the best oysters in the world grow slowly over 4 to 5 years, nurtured and rinsed by clear French waters. 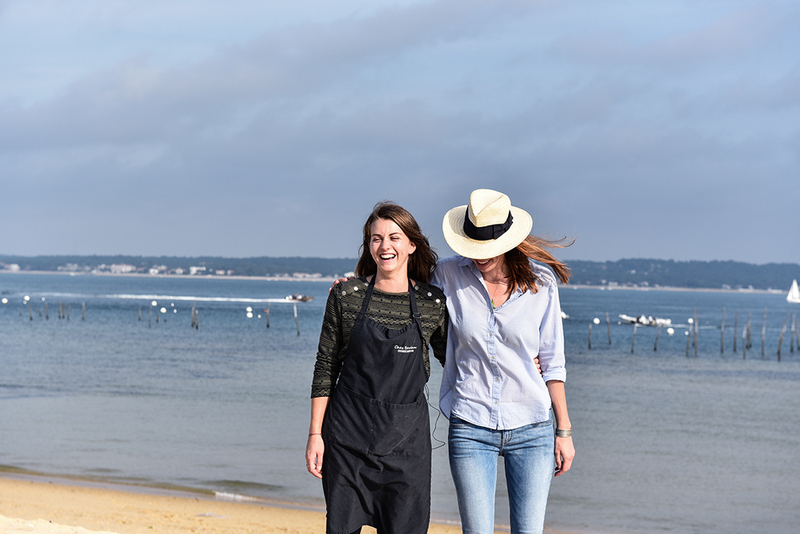 Alison and her husband Alex run Damien Boulan’s wonderful Chez Boulan restaurant. It’s a bit like a beach hut, built out of wood, the wind blowing the salty air through the open kitchen, the garden looks almost tropical. 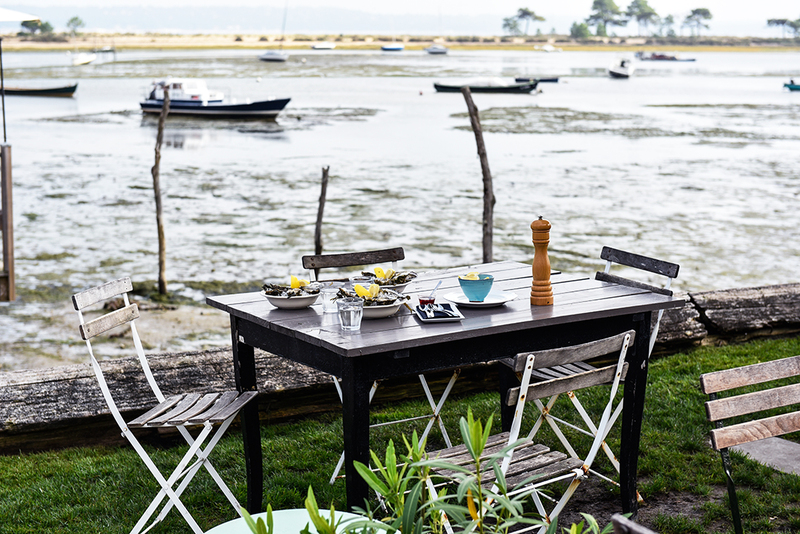 There’s a wooden pier above the fading water that seems like the perfect place to sit and enjoy a plate full of fleshy oysters and a glass of white wine – if only I could sit there every day. Damian took over the family business from his father, he’s passionate when it comes to oysters and spends most of his time taking care of them at the banks. They are like babies, you have to look after them. It’s a lot of work that the whole cap seems to be dedicated to, with deep love for their work and the sea. 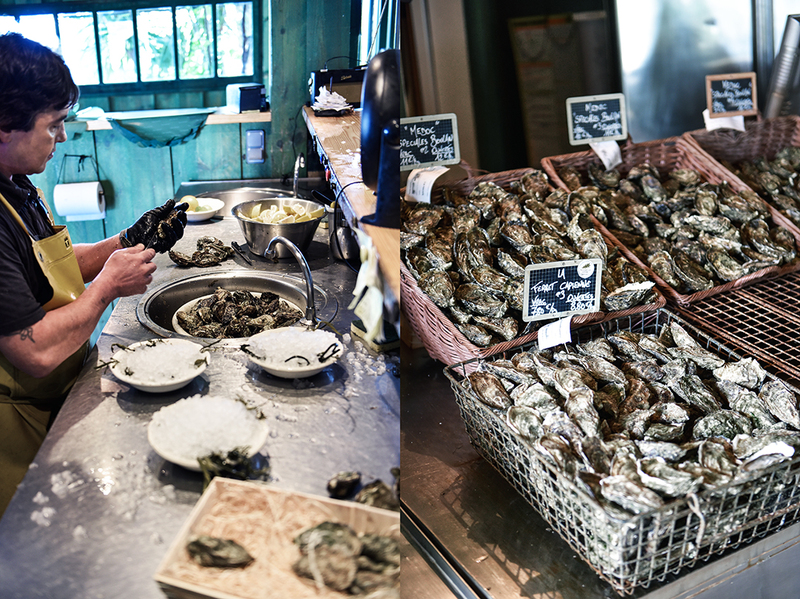 When Alison told me to pick oysters from the baskets at the entrance of the restaurant for my lunch, I felt like a kid in a candy store. Various shapes and colors, small and large shells, and they all smelled and looked so beautiful. 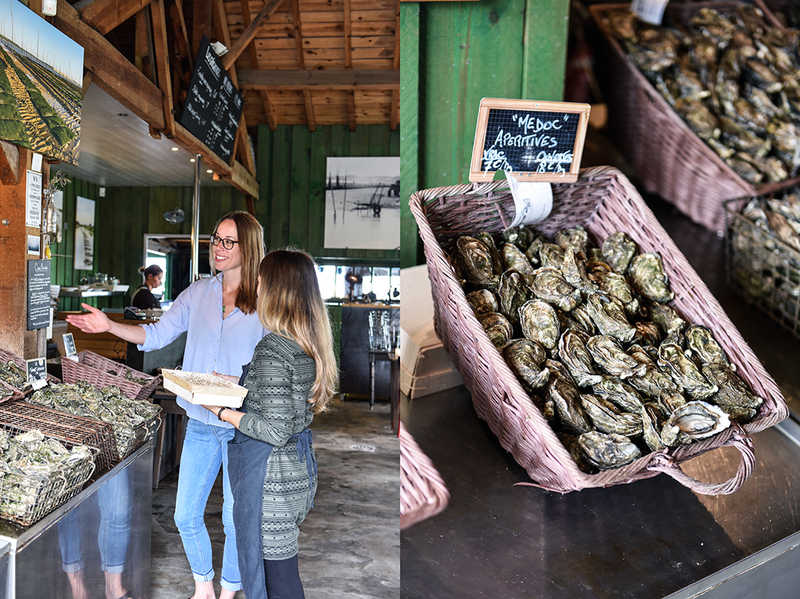 I had an oyster tasting, which I highly recommend to get a feeling for the fine differences – there are no rules, you just follow your taste. The same counts for serving, some prefer this treat from the sea pure or with a squeeze of tangy lemon, or with sour mignonette, French shallot vinaigrette, just a few drops are enough. Alison added a new inspiration to the palate, freshly chopped mint leaves. 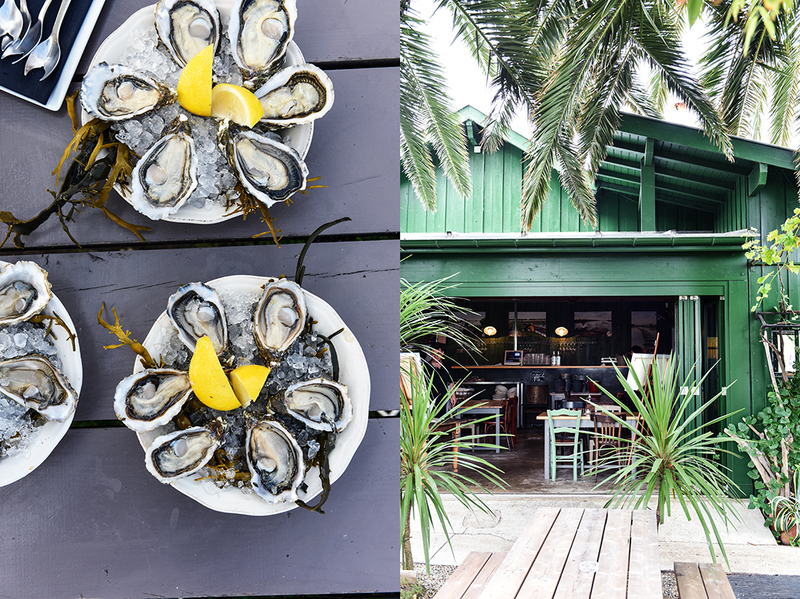 Whatever you go for, just make sure that the oysters come straight from the sea, freshly cracked open in front of your eyes, like at Chez Boulan. 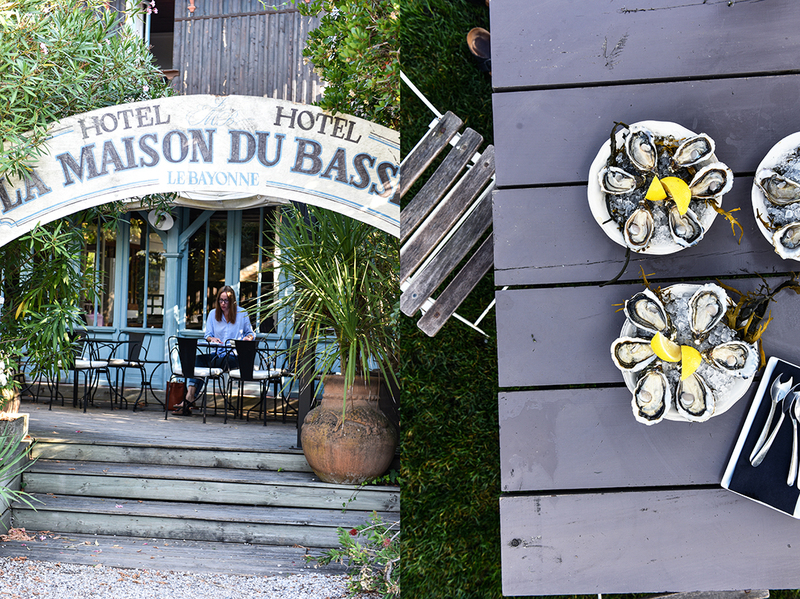 If you plan a trip to Cap Ferret, stay at the stunning La Maison du Bassin hotel. Each room looks like an old captain’s cabin, the wood is dark and the view is breathtaking. And don’t forget to book a table for dinner, the food and wine are divine. You might order too much wine and champagne from their fantastic menu, but don’t worry, the hearty breakfast with eggs and croissant will make up for it. For the mignonette, in a small bowl, mix together the vinegar and shallot and season to taste with a little pepper. 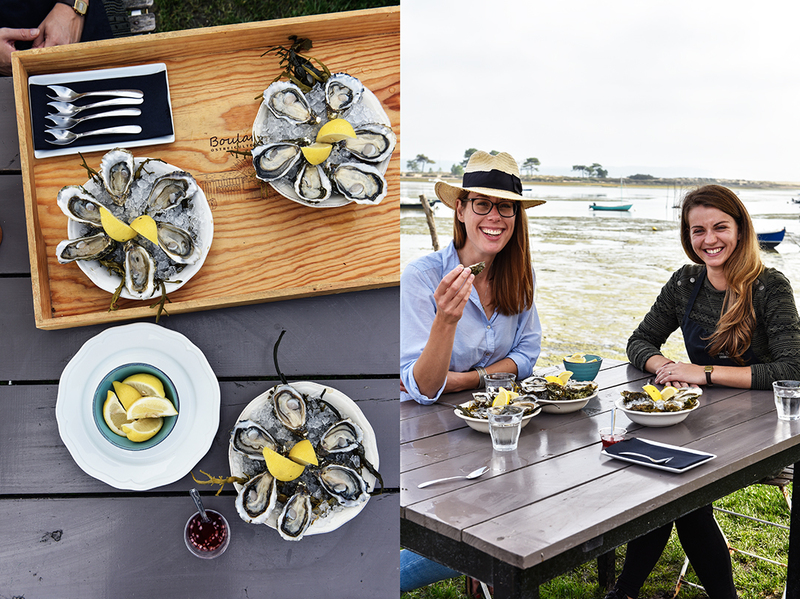 Arrange the oysters on a large plate and enjoy them pure, with a squeeze of lemon, a pinch of mint, or a drizzle of the mignonette – and a glass of chilled white wine! How long has Damian Boulan been in charge of the family business? For 10 years. He grew up here but after university, he went to Paris to be a journalist. He and his father used to speak about the idea to create a degustation – like this garden. This is the garden where we welcome our guests, but it used to be the garden of the Boulan family. So, the family lives here? Yes, the mother still lives on the other side of the cabin. They used to talk about the idea to create something like this. Unfortunately, Damian’s father died and Damian was told to come back to take over the business, to work with oysters, and to continue the family history. When he was told about this project of his father, he created it. But first he didn’t want to become an oyster farmer? No, but when you see him working with the oysters, you can see this is a real passion now. It’s his history. 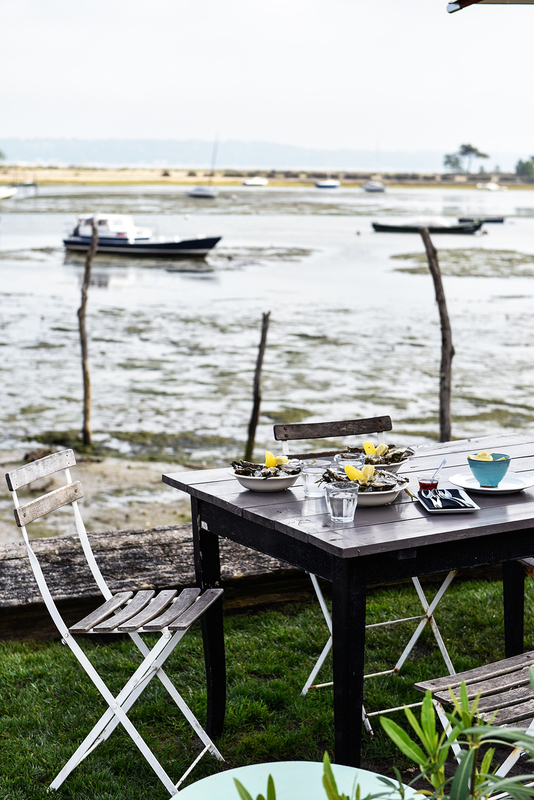 Most of our oysters are behind the Mimbeau – the Mimbeau is the sandbank that you can see – and they are just behind there. You cannot imagine it but behind there are a lot of banks and most of our oysters are there. 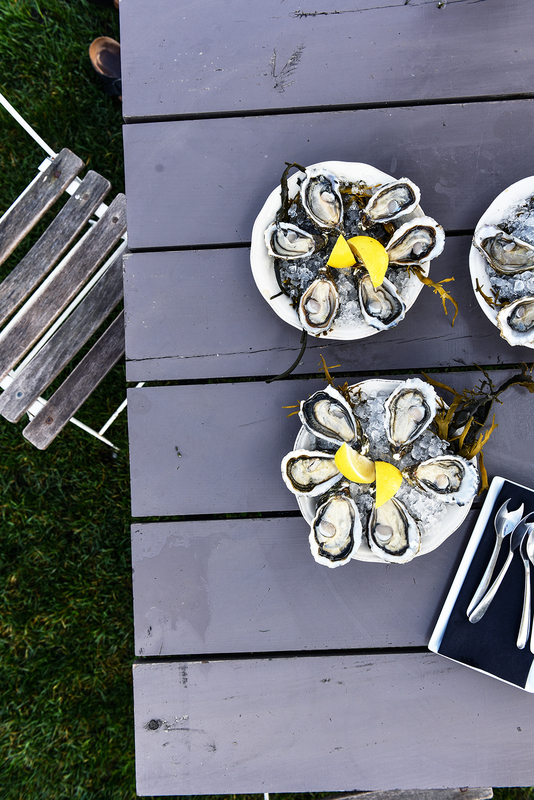 Is there a season for oysters? 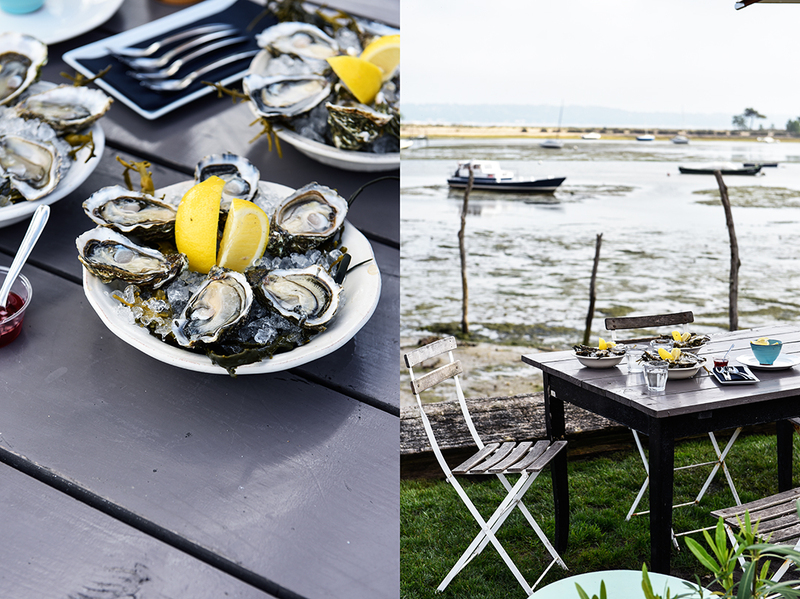 We have a saying in France, that you eat oysters during the months with an “R”. So, September, October, November, and so on. The idea that it’s “bad” to eat them in the summertime is because this is the period of the “milk”. That’s why. 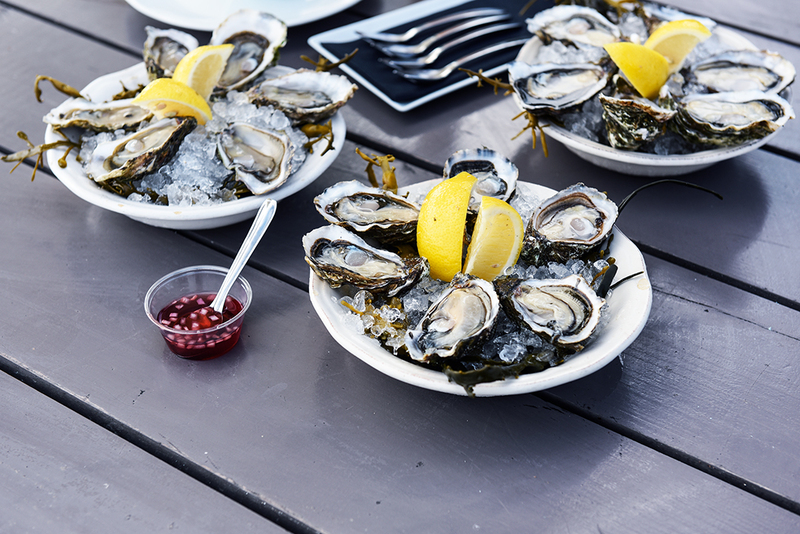 But you can eat oysters all year long. The milk is the way for the oysters to reproduce. During that period, you can see a bag of milk , but not like milk that you can drink. We call it milk because it’s creamy. Someone told me that some people specifically like them during this time of the year. Yes, yes. 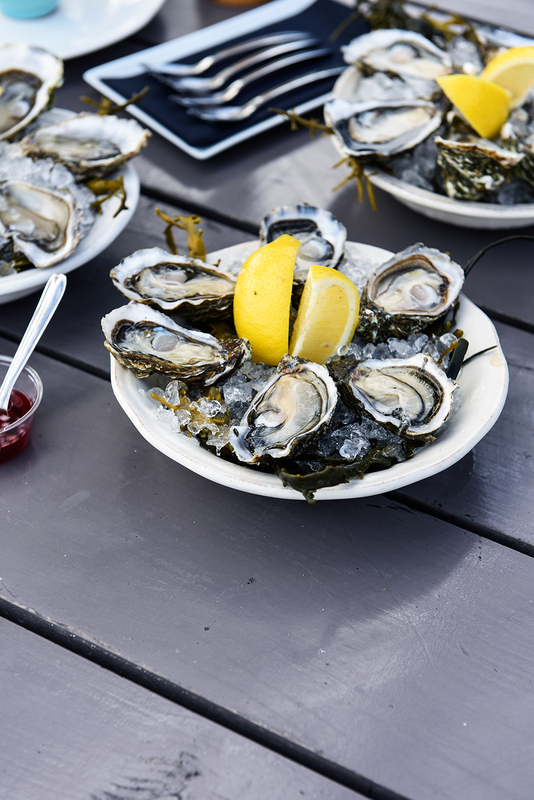 In summer, we tell people if the oysters are milky or not, because they are very surprised when they realise that this is the period, although it’s totally normal. 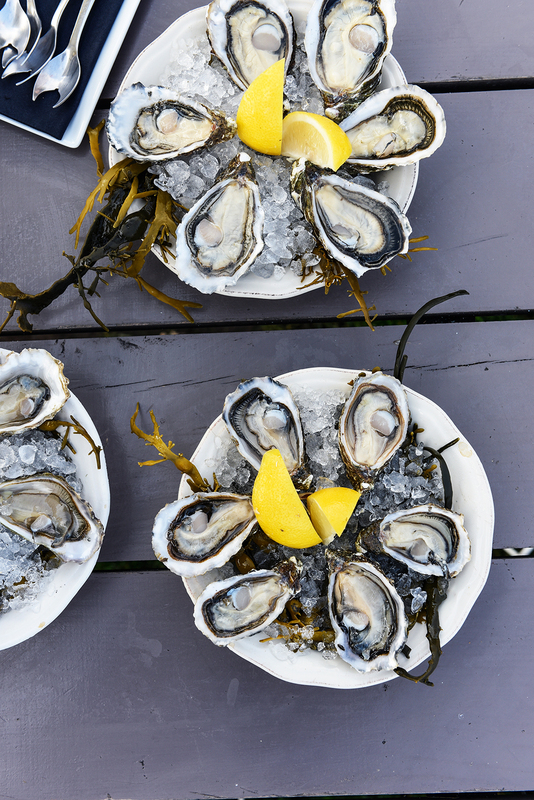 How do environmental changes affect the oysters? 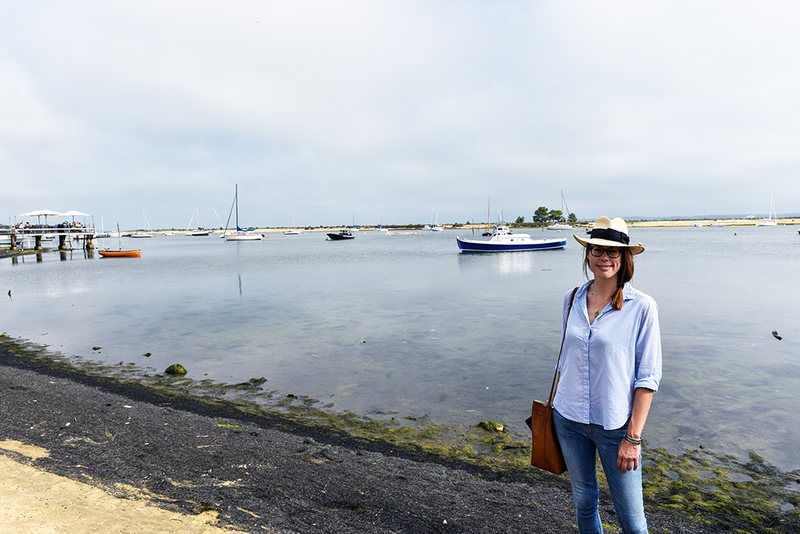 I’m not a specialist but as we work very closely with the production, we know that the oysters need more time to grow because of climate change. They used to need 3 years to grow, but now it’s 3 to 4 years. It depends. Because the water is warmer? Yes, because of the water, and there is less food for the oysters. Do you have a kitchen hack that you can share with us? There are two ways to open an oyster. You have to choose the one you like, but the idea is to keep the oyster “safe” and whole. We (at Chez Boulan) open it from the base of the oyster. We put the knife in here just like this and then, we lift the knife up, and then we cut. The idea is that when you have the second part of the oyster, there is nothing on the second part.